Welcoming staff, pleasant atmosphere to enjoy conversation over lunch. Nice lounge music in the background and attentive service. Sashimi, miso soup, and seaweed salad all delicious. First time trying, and will definitely go back. Authentic look, feel, and taste. Cozy little restaurant a la Japan. Great food, service and cozy. More authentic vs. Americanized Japanese. I'll be going back! Excellent food, very friendly servers. Unfortunately the meal (just sushi) took over 30 min to come out. They were very nice, but don’t expect a quick meal! I had the Ikameshi, which was delicious. Portions are on the small side for dinner, otherwise, a really pleasant and relaxing dining experience. Food was solid (unagi nigiri and takoyaki were the best), but it was hard to get service's attention throughout the meal. Thanks, we really enjoyed dinner at Shiki. I love that you serve water without ice. The maki rolls were very fresh and delicious, as was the tofu. We also had the fresh rolls that could have been better with some kind of sauce. The food was delicious and the service was great! Despite being a busy evening with a full restaurant, the customer service was great, and the waitress was very friendly. Nice, light and delicious meal. Portions were small but fine given it's an expensive place. Cashier accidentally didn't take off my $15 from the bill initially so I had to return to the restaurant to get credited, but not a huge deal. I had never been to Shiki. I have been thinking about sushi and wanting to really like it. I don't always know what to order. The server gave me some great advice, and I had a truly wonderful meal and experience! I love them! Delicious, authentic Japanese food. Thank you for introducing us! Shiki was the best Japanese restaurant I've ever been to! The sushi and sake were exceptional. Great food! One of the only authentic japanese foods in the Boston Area. Great food and attentive staff! Really great place, will return again! One of the FEW that welcomed Nift without problem. My sister and I enjoyed Shiki very much. They had different Toro options as their special tonight, we ordered two pieces of nigiri each. Since it was cold outside we decided to go with the udon, which hit the spot. The wait staff was very friendly and the food came out in good time. Overall a great experience. We had a nice meal here. The yellowtail and spice salmon maki were delightful, vegetable tempura also tasty if a little undersized. Good service. Food quality and service were great! That was beautiful, delicious.. fantastic experience I will be back! The place was nice, the soups and sushi great! And the service was good. In general, it was a great experience! Delicious, beautiful presentation, and good service. Wonderful experience. Not your usual Japanese place; lots of small plates, fresh fish. Sticky rice wrapped in squid, winter odeng special, nice futomaki rolls. Good stuff! The appetizers, sushi + dishes were all super delicious + tasted very fresh. Our waiters were also very friendly + helpful with our order. The food was also very reasonably priced. We will be back! Solid food for the pricing. I had the Matsu (Pine) Kaiseki lunch and it was great, all the food was perfectly prepared. There were some old favorites (tempura, sashimi, udon) and some new surprises like the egg custard with seafood and baby octopus. Very friendly staff and great tempura! We really enjoyed the restaurant! Great small tapas-style Japanese food. Everything we ordered was delicious and it was very reasonably priced! Packed with locals, even on a Sunday night. Happy to have chosen this NIFT as I never knew that this restaurant was there. Very nice ambience, gracious service, very fresh food. Looking forward to going there again. Shiki is an awesome standard for always fresh, always tasty sushi in Coolidge Corner. This is cool and i get to learn about new places. Delicious food! I love that Shiki has dishes I've never seen at other Japanese restaurants. The broiled squid was our favorite. Service was fantastic and we had a wonderful experience. Quality food and quick service. Delicious food and excellent service from Fred — thanks so much! 5 stars! Great service, cozy atmosphere and delicious sushi! AMAZING sake selection! It's so hard to find Tarusake in Boston. I really enjoyed suchi from that place! The food and sake were excellent, and the place has a very cozy atmosphere. Good food, exceptionally friendly, homey atmosphere. 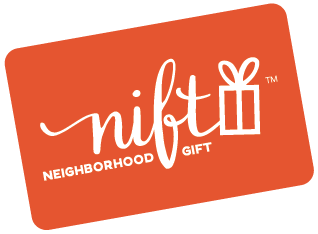 Such a friendly staff and super accommodating to the Nift got card! Great sushi and pretty good price for what I’ve paid for sushi! I will definitely be back.